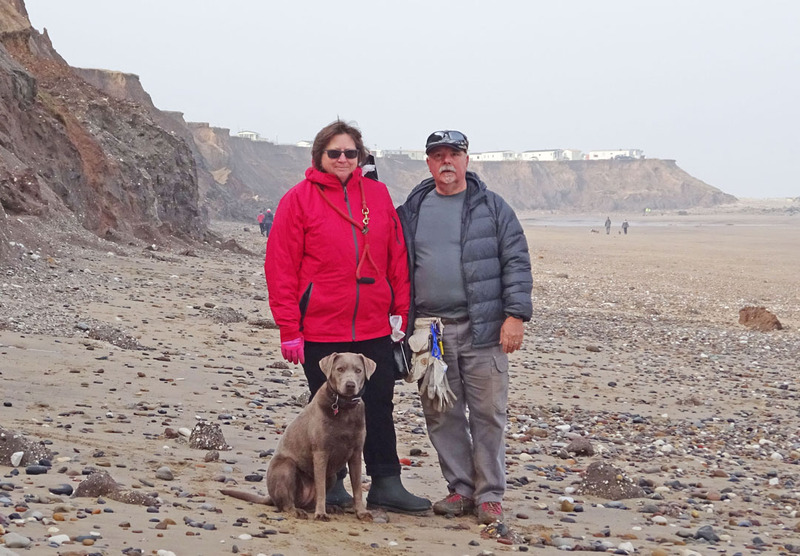 Hornsea is on the Holderness Coast about an hour from York. Access is simple, there is a large car park at the end of South Promenade. Walk onto the beach and take a right turn. 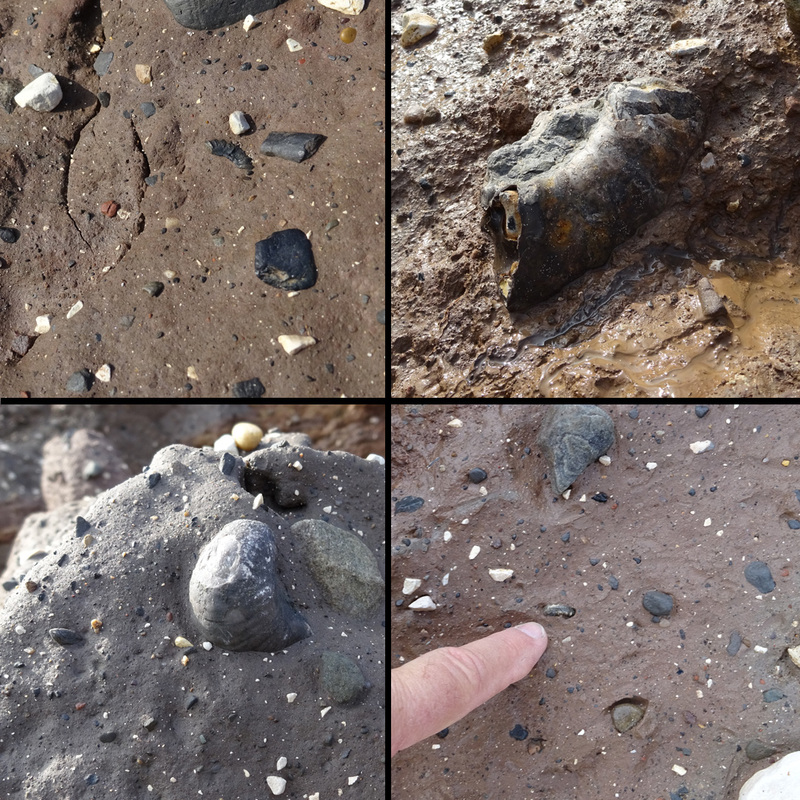 The fossils are found in the clay banks further down the beach, past the sea defenses. The beach is flat and suitable for kids. On every tide cycle, the surface of the clays is refreshed. 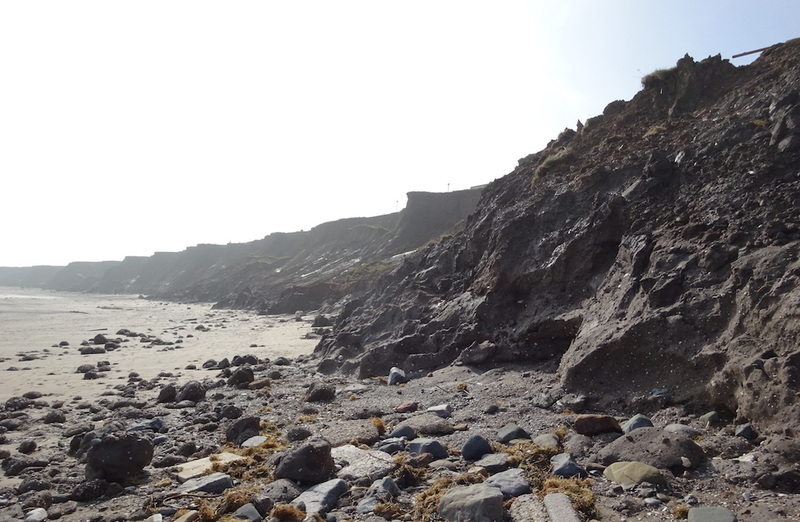 Simply walk along and study the surface for exposed fossils. Fossils are randomly interspersed in the clays. 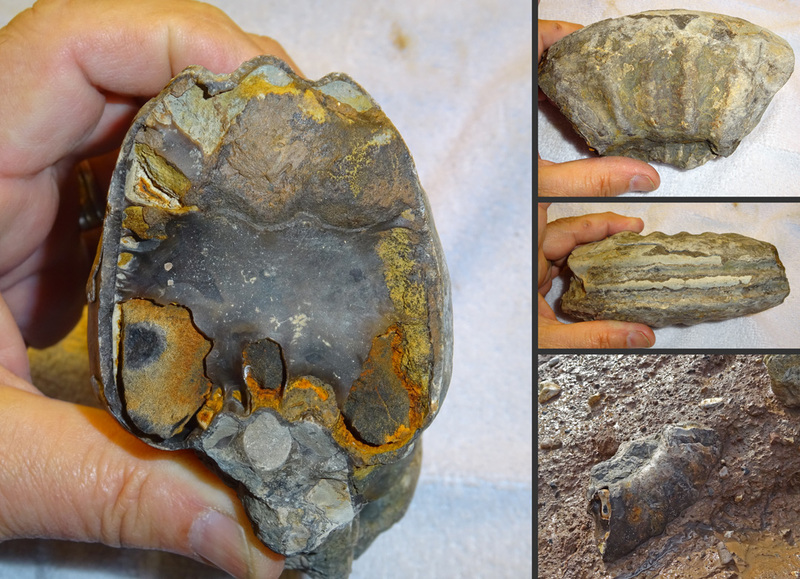 This fragment of a large ammonite was interesting. A complete one would be nice! 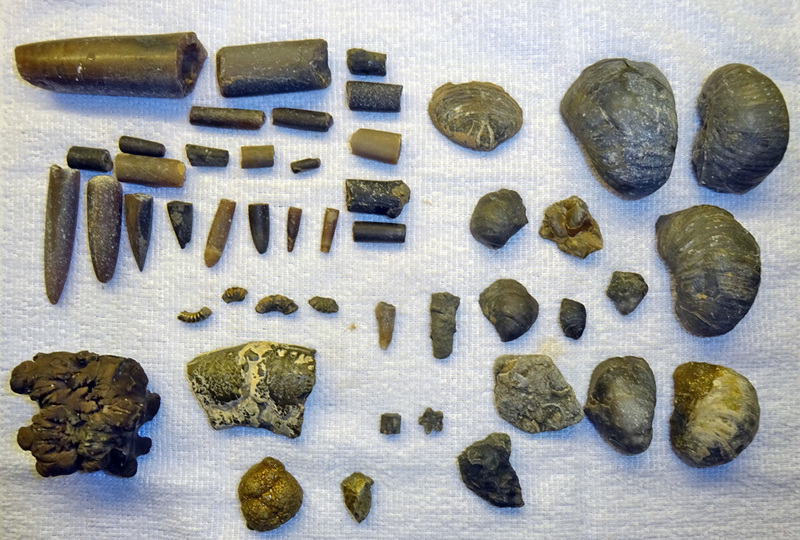 We did not find anything too noteworthy but many others have reported nice finds.